For patients who are missing teeth, dental implants are a second chance. 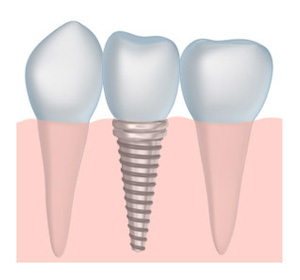 A dental implant is an artificial tooth root made from a special titanium alloy. This titanium alloy can fuse directly with your bone the same way that your natural tooth roots can. When we combine a dental implant with one of our beautiful porcelain crowns, we can create an artificial tooth that looks and feels completely natural and restores the functionality of your full smile. We are fortunate in our office to be able to provide our patients the entire dental implant process – from diagnosis to beautiful smile. Our team of doctors, including Dr. White and Dr. Mason, works together from start to ensure the placement of your tooth implant is where it needs to be for the crown or other restoration to look natural. Tooth implants are a unique restorative dentistry service for patients who are missing teeth, because implant dentistry is the only restorative service that restores both the root and the surface area of your tooth. When you lose a tooth, the bone underneath the gap starts to erode without tooth support, and that can affect the appearance of your face. The faces of patients who are missing teeth can start to develop a more sunken appearance as their jaw deteriorates. Other restorative procedures restore the surface area of your tooth, but they don’t restore support for your jaw. Patients with dental implants look healthier and feel better. A dental implant can restore the full functionality of your tooth, and restore your confidence in your smile. 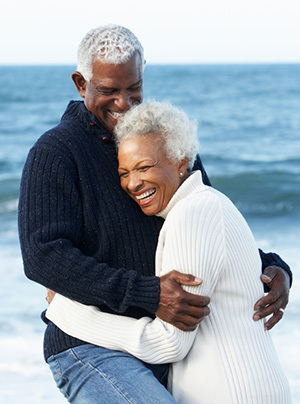 Patients love dental implants because they are incredibly durable and look completely natural. Even if you’ve lost a tooth, you can enjoy a smile that can last a lifetime. At our practice, we restore and place tooth implants. Instead of visiting an outside specialist, you can have the entire implant dentistry procedure performed at our office by a dentist who knows and cares about you. After your implant has been placed, and your mouth has healed, we can fit your tooth implant with one of our beautiful, custom made porcelain crowns. When your tooth implant is restored, you will be able to enjoy the benefits of a full bright smile again. To find out more about dental implants, call us at our Grapevine office today if you are in the area, from Colleyville to Southlake.